We have worked with children from a variety of backgrounds, holding workshops in areas across Greater Western Sydney. We also provide the opportunity for talented children to continue with their ballet education at local ballet schools, below are 2 of our sponsored students. 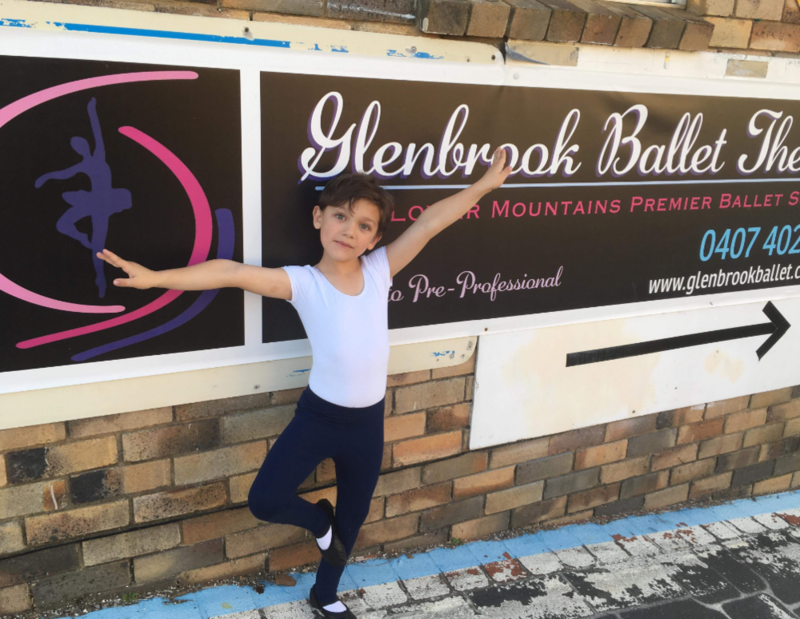 Daniel came along to one of the Ballet Without Borders workshops and had danced a little at Glenbrook. He is a joy to watch with talent and energy. Tatum Summers, who just turned nine, has been a student at Glenbrook Ballet Theatre since the age of two. Her favourite ballet is the Nutcracker. She’s really enjoying classes this year, especially the new barre work and extra stretch sessions, and practising her moves at home. “Having done ballet up until my teens, I appreciate all its benefits: physical activity, self-discipline, creativity, friendships, working towards goals (exams/performances); these are such valuable things, no matter where you go and what you do in life.